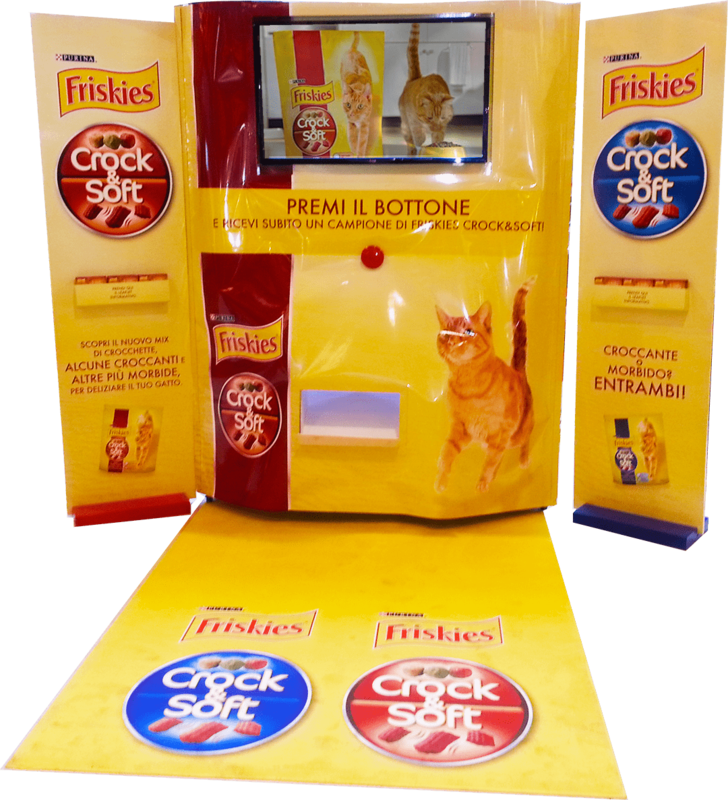 Friskies contacted us to realize a new vending machine for their marketing campaign, whose aim was the supply of small bags of dogs food. The vending machine had to supply a product whenever a costumer pressed the red button, and in order to do that we had to adapt our existing electronic. From an aesthetical point of view, as this is a marketing campaign, the vending machine had to be customized, looking like an enormous dog food bag. We had to reduce the machine encumbrance in order to cover it with the packaging.